If you want to convert Bluray to MPEG2, you can follow this article to learn how to rip from a Bluray disc and convert Bluray to MPEG2 with WinAVI Blu-ray Ripper. Just follow the below steps. Step 2: Insert the Blu-ray disc at first, and then click "Convert from Blu-ray Drive" button on the program main interface to import the Bluray folder file. 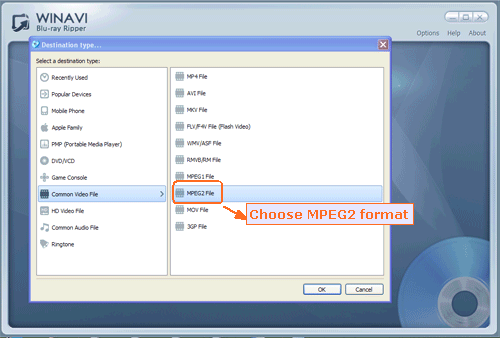 After that, you will see a small window pop up and ask you to select the output format, here we choose MPEG2 format. 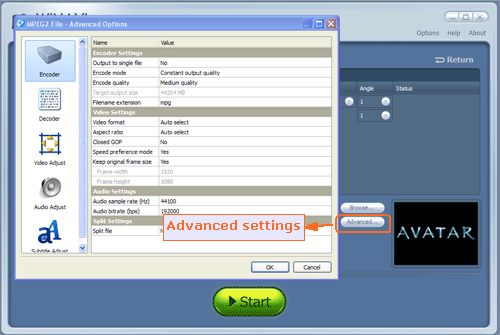 Step 3: Click "Advanced " to customize MPEG2 file of output. 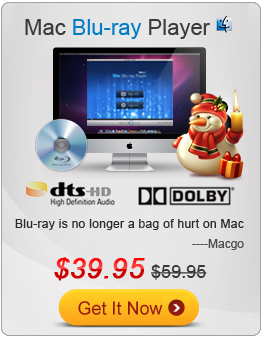 Step 4: After that, click the "Start" button and begin to convert Bluray to MPEG2 format. When the conversion is finished you can click "Open the output folder" to check the converted MPEG2 file.